LeeJessup.com / General Career Advice / Screenwriters: Ready To Get Rejected? 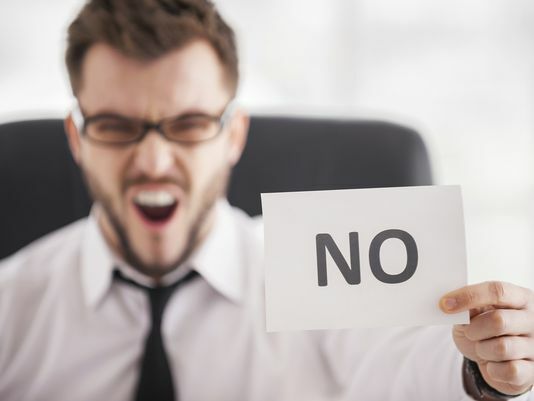 Screenwriters: Ready To Get Rejected? For many screenwriters either trying to break into the industry or make their way up the ranks, rejection is just part of the game. In fact, I tell new writers that come to work with me who have yet to make serious inroads in the industry that it’s their job to get their material there and get rejected. After all, without enough disappointing No’s, you will never arrive at that all-important Yes. Before, however, you go out there and get a million proverbial doors slammed in your face, you have to make sure you have strong enough material to keep you pounding the pavement. (Not sure what that should be? READ THIS: The Screenwriter’s Make-or-Break: Body of Work). Bottom line: there’s no point knocking on those doors if you don’t have the goods once the door opens and an opportunity presents itself. And in order to make sure that you are ready for any and all good things that come your way, be they requests for reads or opportunities to staff, your material has to be assessed and vetted, and put to the test because otherwise it will never stand a chance of finding a home some day. But how do you know when your screenplay is indeed ready for the professional space? Smart screenwriters determined to get great at their craft often seek out notes from people who will challenge their screenplay at every turn. They seek help from screenwriting instructors old and new, work with consultants, mentors, writers group members and writing friends to make sure that they have considered every character nuance, thought out every plot turn. But even then… does anyone ever truly know that their screenplay is 100% ready? That it’s really truly “there”? The truth is that there is no way to guarantee that everyone who reads your feature screenplay or original pilot will respond to the work. You only have the courage of your conviction, and the experience of writing and vetting your material to give you confidence. This question is presented at that particular moment for two reasons. The first is the simpler of the two; I ask this question because no matter how much the writer worked on the screenplay or pilot, how many notes he got, how many critical friends and mentors signed off on the script, someone somewhere is not going to like it and rejection is pretty much guaranteed so… are you ready for that? Rejection is coming, and if you want to be a screenwriter that’s just par for the course. The second reason I ask this question is a bit more complex. It has more to do with the merit of the script than it does the rejection. 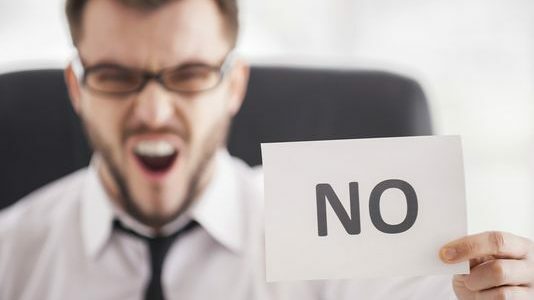 What I really want to know when I ask this is: Do you have enough conviction in the work that you are putting out there to withstand the rejections, or are you going to doubt the quality of the work as soon as you get the first Pass? Will you be able to stand by the quality of your work as the rejections pile up, as people tell you that “it’s not for them” or that they “didn’t get it” or “didn’t connect with the work,” or are you going to instantly start considering more rewrites, going to more experienced writing friends whose insights and analysis you have not yet tapped? Did you take all the time with the material to make it as strong as it can be, or did you rush the script because you want to get it out there already? Are you confident that the script is good and done because the notes you are now getting minimal and mostly cosmetic, or are you no longer really thinking about the notes, because you just want to go ahead and get it into the professional space? In the above cases, if it’s the latter rather than the former, better reconsider the game plan. No one is asking that you make your script perfect. Frankly, I have never read a perfect script, and don’t think that Perfect as a standard is in any way realistic. But in this industry, everyone’s got an opinion, and they will make sure to tell you what they think. Sure, there will be moments when self-doubt and questioning creeps in; it’s only natural. But overall you should have enough conviction in the work that you’ve done to be able to withstand the inevitable rejections and potential criticism that the work – and you by extension – will receive. The bottom line about the question noted above is that it’s about whether, at the time you’re getting ready to put your screenplay out there, you have done all that you could to tell the story you set out to tell in the most compelling, effective, focused and unique way. Do you have enough conviction that the story you are trying to tell is being received by most as you intended to stand by the work, to keep fighting the good fight for it, to – even in the face of disappointment and rejection – continue to get it out there? Because at the end of the day, that’s what it’s going to take. You are going to have to believe in the work for others to open themselves up to it as well. So if you don’t want to be subjected to rejection, and you haven’t REALLY done the work needed to be done to get the screenplay or pilot script up to snuff in order to have it garner the attention it, and by extension you, deserve, you might want to reconsider before you put it out there.